It is very easy to fall in love with mountains, more so, when they are majestic like the ones in the Ladakh region of Jammu and Kashmir. Here, every mountain is of a different colour and the sky looks so blue and close. To experience more of this beauty, one may choose to go on road trips from Srinagar or Manali as starting points. On reaching Leh, one of the two districts in the region (Kargil being the other one), the breathtaking grand mountains and the Gompas or the monasteries situated on the highest points of the mountains leave you even more mesmerised. But at the same time, the topography of the region underlines both fragility and challenge. I got a taste of both during my recent visit to Leh for a fellowship session on climate change and eco-tourism in high altitude regions. 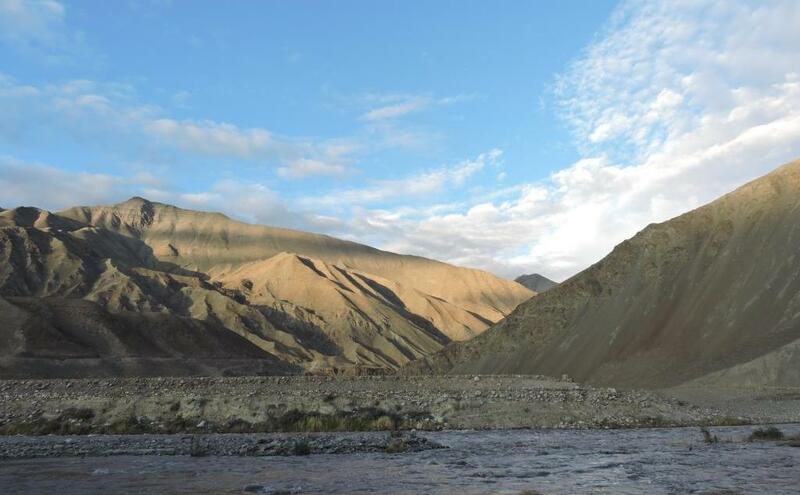 Bordering China and Pakistan, Ladakh has its own strategic importance. It was only after the Kargil War of 1999 that the region, with a population of less than 300,000, became easily accessible through the construction of pukka roads. At a height of about 5,600 metres above sea level, Khardung la Pass in northern Ladakh is now the world’s highest motorable road. But the locals of Ladakh now feel that their region is changing. Once, a dream destination only for trekkers and bikers, it is gradually is now a destination of mass tourism. Also, uncertainty lies here, along with beauty and solitude. If locals are to be believed, after the 2010 flash floods, this year the region has witnessed heavy rainfall for longer spells. 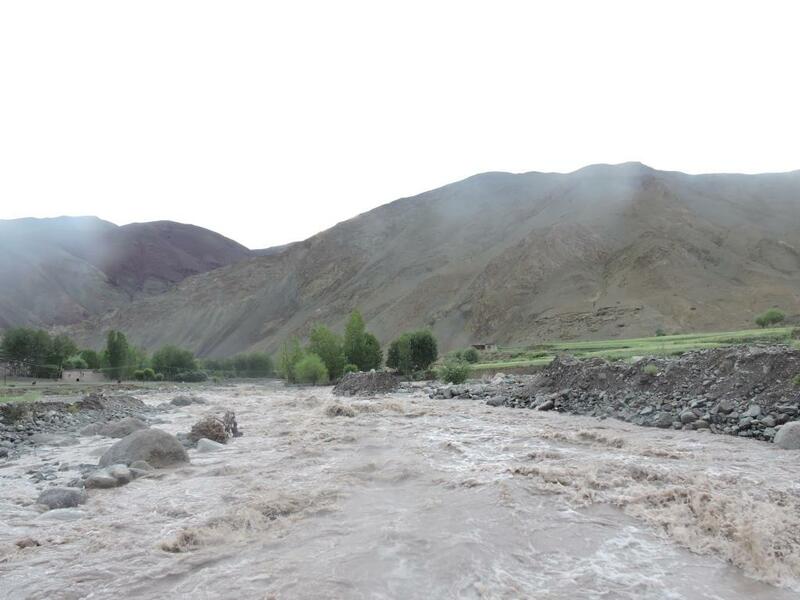 Heavy rains that usually used to lash the valley of Leh between August 1 to 15 have been erratic since the beginning of June this year. During my visit, I was prepared to meet adversities. Due to heavy rainfall, there were landslides. Every stream in the vicinity of Leh city either seemed flooded or ready to burst. Though the local hill council was ever ready to come to the aid of helpless villagers, the difficult terrain and unpredictable rainfall made things harder. Battling extreme-weather events is not the only concern for the residents of high-altitude villages. The locals here are also busy trying to strike a balance between the changing ways of life and preserving their traditions at the same time. When children from these villages go to schools down in Leh city and later to universities in Jammu and Kashmir and other states, they don’t want to come back to their native places due to lack of opportunities. What could be done in such a case? Our consultations with the residents indicated that if introduced to vocational training in weaving pashmina, and other occupations like teaching or medicine for their living, the youth would love to come back. But at the moment, they are struggling to sustain livelihoods opportunities. I can vouch for this after spending a few days in two same yet different villages as a group of students and professionals with 20 other colleagues who had come from the length and breadth of the country for the session. Rumbak is a village situated in the middle of Hemis High Altitude National Park, a protected area considered to be one of the best places in the world to see the snow leopard in the wild with appreciable density of snow leopards. 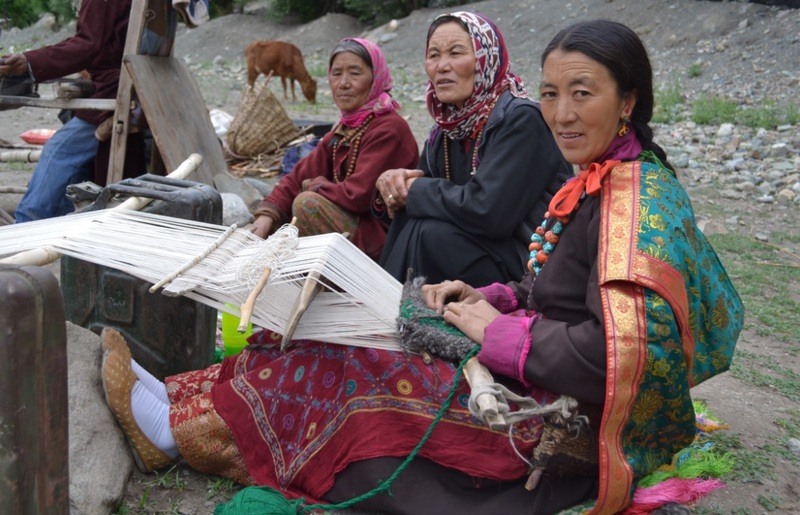 After years of conflict with the wildlife and sustained efforts from the autonomous hill council of Ladakh, this village, at an altitude of almost 5,000 metres, has now adopted sustainable tourism as a livelihood option. By turning the threat of snow leopard into an opportunity in the form of homestays, the village is now an accepted model for others. Every house in Rumbak now hosts three to four guests for about 60 days a year, with each guest paying Rs 800 for a day. “When snow leopards used to kill our livestock, it meant of trouble and helplessness. But now, with this model of integration of wildlife, humans and livestock, we are quite happy,” says Lobzang Nambyal. With the influx of tourists to Ladakh, ecotourism has successfully sustained and grown here for about 10 years now. But the village has now become dependent on it. With most of its youth or kids going to schools or colleges in Leh city and looking for avenues in other parts of the country, there is no one to take care of the cattle they own or to take them for grazing to farway patches in this cold desert. Since pashmina is also losing its ground on demand, the villagers are unable to get much revenue out of it. Miru, another village at a similar altitude, is surrounded by fragile rocky formations and Indus flows through middle of it. The sight of this village could be a visual feast for anyone. 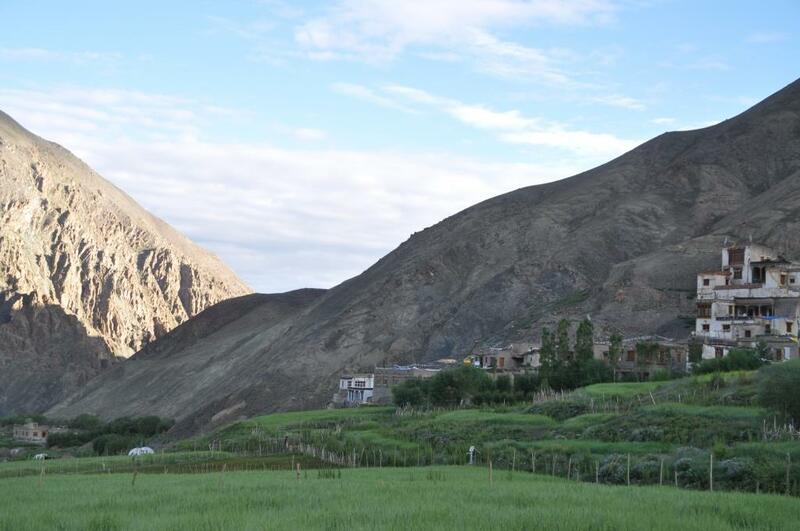 But unlike remote Rumbak, this village is situated on the Manali-Leh highway. While livestock in this village has reduced from 12,000 about five years ago to 3,000 now, almost every house owns a small barley or green pea field. Yet, the sustainability concerns of this village are similar. Miru’s location makes it more vulnerable to floods and landslides. 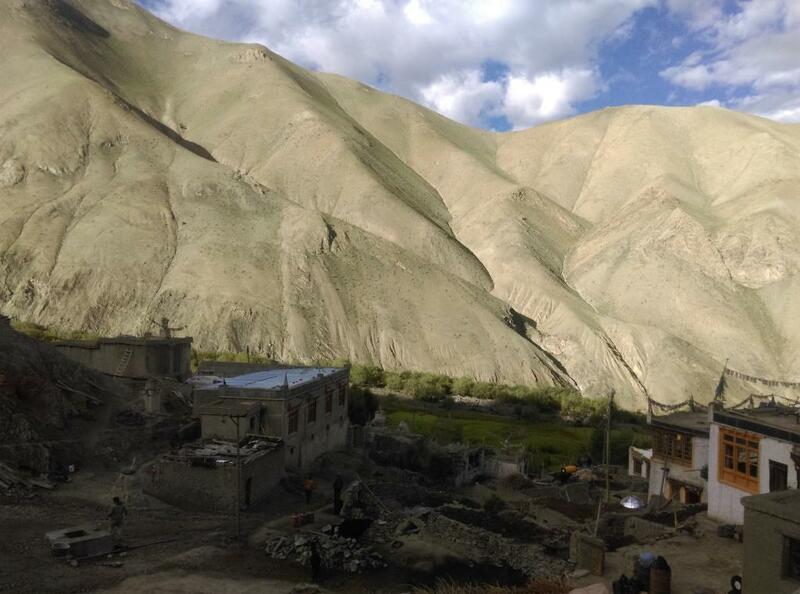 In 2010, when flash floods hit Leh, many houses in this village had to be shifted to a higher level. Many households also lost their barley and green pea fields. “If such a calamity strikes again, we would be left with nowhere to go,” says Karma Sonam, a conservationist and resident of the village. Somehow, yet the people here don’t cease to wear the magical smiles of contentment and their lives continue to inspire others. Our visit to Miru was like a festival for the village that is now looking to go Rumbak way in hosting tourists. During an exhibition that locals organised for us, from their local drink chaang and po cha (salted butter tea) to pashmina and yak wool weaving, everything was on a spectacular display. Their culture has so much to offer. Like Rumbak, the village is now exploring the option of eco-tourism. But, its journey is expected to be tougher as homestays are not preferred destinations when located on highways. It is also looking for opportunities that can help them retain their kids. The residents who want opportunities to market their pashmina and green peas better to make most of what they have are now eyeing help from hill council, volunteers and non-government organisations. While these villages strive to strike that balance in these mountains of uncertainity, we hope that all those who can help would come forward to contribute in whatever way possible.